First, let’s prepare the kale. You can use any variety you’d like; all you have to do is pull all the thick, tough ribs off and chop the leaves roughly. 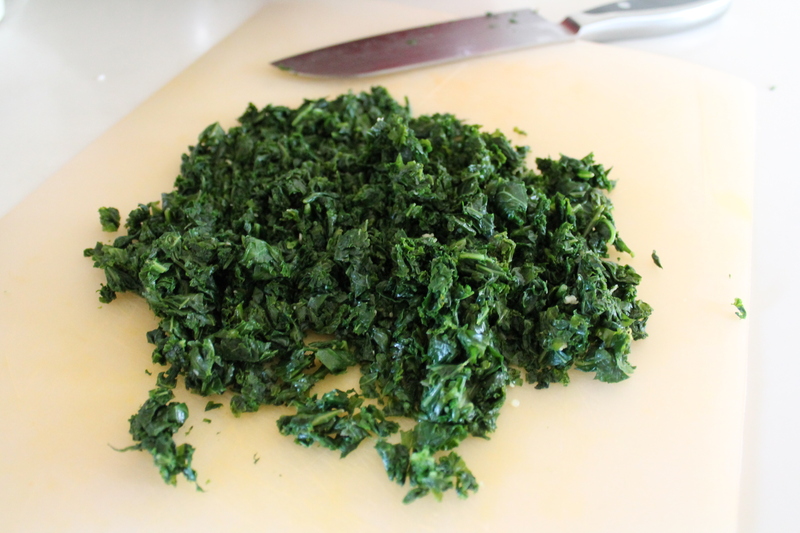 I actually used a bag of kale greens, which theoretically already has the ribs removed and the leaves chopped. But don’t be fooled…you still need to sort through the greens and remove a lot of ribs (and any icky leaves that are mixed in). Don’t worry too much about this if you feel it’s taking a long time; the stems will be much easier to spot and remove after you steam the kale. Now, warm up some garlic. You don’t really want it to brown, just to release an intoxicating garlicky fragrance. And to bubble a bit. Add a cup of water and all the kale to the pot. Cover the pot and let the kale steam and cook for about 5 minutes. Stir at least once to prevent the bottom leaves from burning! Meanwhile, shred the cheeses. I used gruyère and pecorino romano, because I had both on hand. Parmesan works just as well instead of pecorino, and you can substitute your favorite Swiss (jarlsberg, comté, emmenthaler) instead of gruyère, if you like. 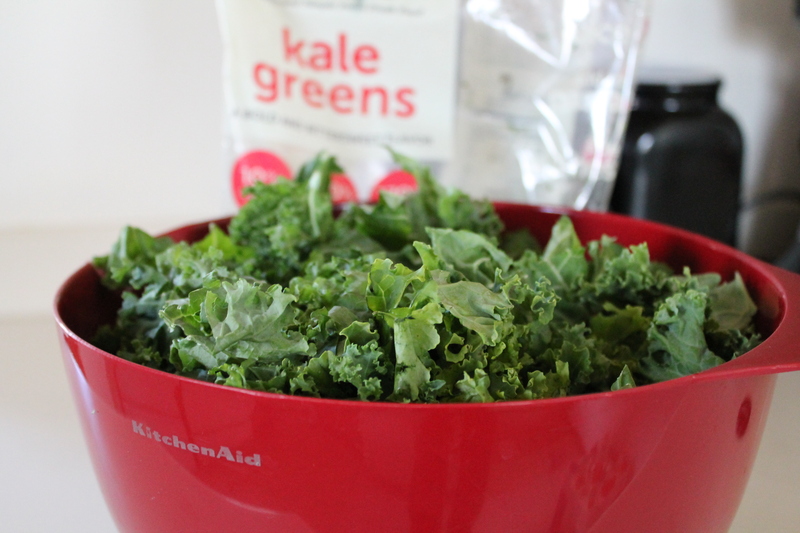 When the kale has cooked down, drain it in a colander. Press it with your hands until all the liquid (or as much of it as you can manage) has been squeezed out. Transfer the kale to a cutting board and give it another chop. 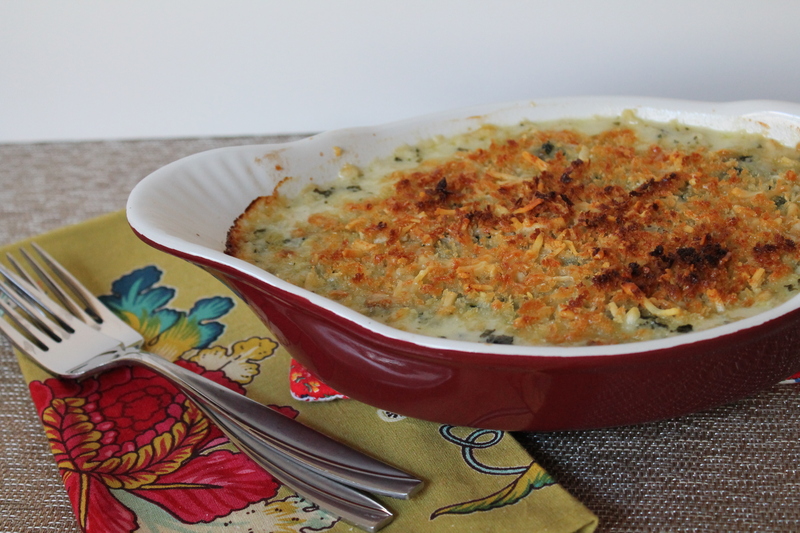 There’s nothing more irritating than eating a gratin that is unwieldy because the greens are not cut small enough to allow taking a reasonable bite. 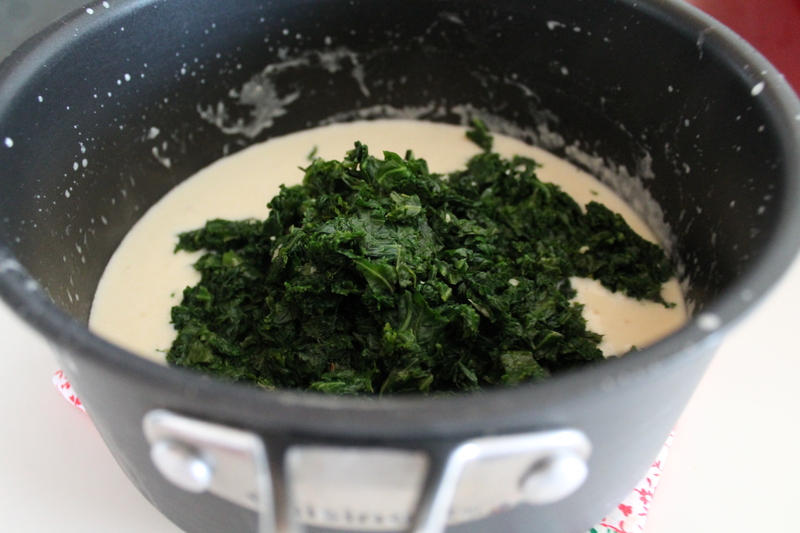 Set the chopped kale aside and begin working on the béchamel! Melt a few tablespoons of butter. Whisking constantly, add in the flour, about a half tablespoon at a time. It’s important to add in the flour slowly, so the butter can absorb it and create a thick roux. Pour in the milk, also slowly, so as not to create clumps. (I’m going to be honest; the recipe called for whole milk, but I had just poured the last drop into Jake’s sippy cup. I made a sort of half-and-half instead with two parts skim milk and one part heavy cream, which I had in spades.) Add a pinch of nutmeg and continue to cook the sauce for 1 minute. 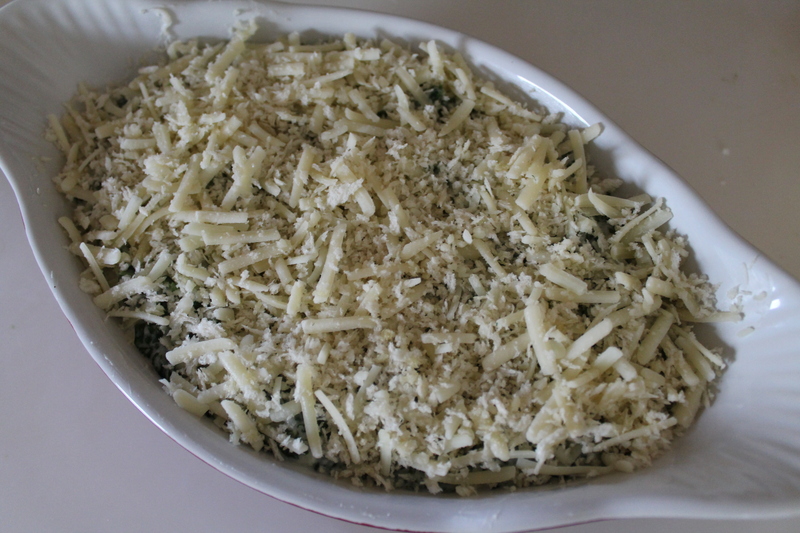 Remove from the heat and add in all but ½ cup of the grated cheeses. 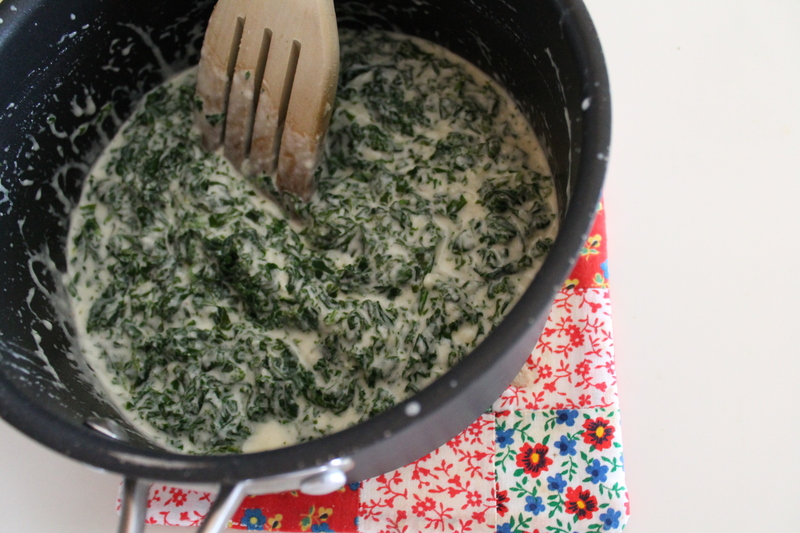 Stir the chopped kale into the warm cheese sauce. Pour the mixture into a small (not individual), buttered gratin dish. Toss ½ cup panko or other breadcrumbs into the remaining cheese. Add 1 tbsp. olive oil and mix with your fingers, until the oil is well distributed. 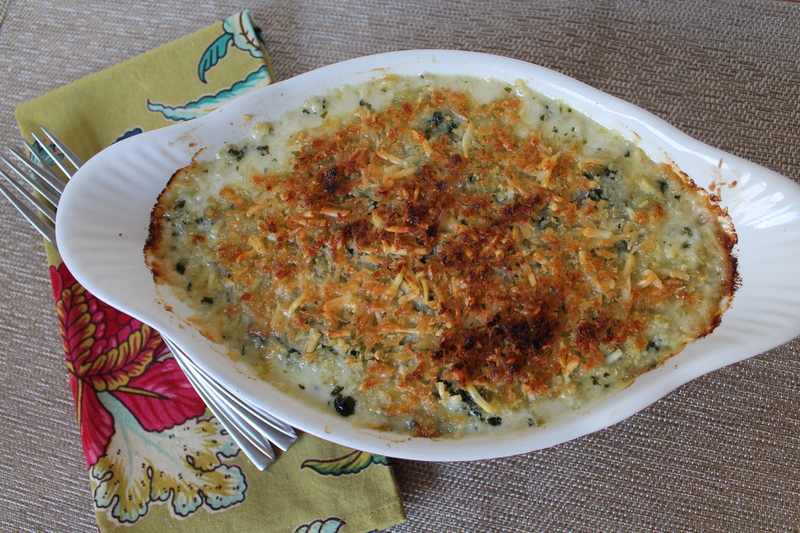 Top the gratin with the cheese and crumbs. Bake 20 minutes at 350°, until bubbly and fragrant. Turn on the broiler and broil for 2–3 minutes, until crisp and browned in places. Serve it warm! Try not to eat it all in one sitting, I dare you (serves 4, my foot…). By the way, this dish further confirmed for me that my toddler loves kale any way it comes. I shared my portion with him (reluctantly), and he literally cried when it was all gone! Heat 1 tbsp. butter in a large pot over medium heat. Once hot, add the garlic and sauté 30 seconds. Add 1 cup water and turn heat up to between medium-high. Toss in the kale and season very lightly with salt and pepper. Stir and cover the pot. 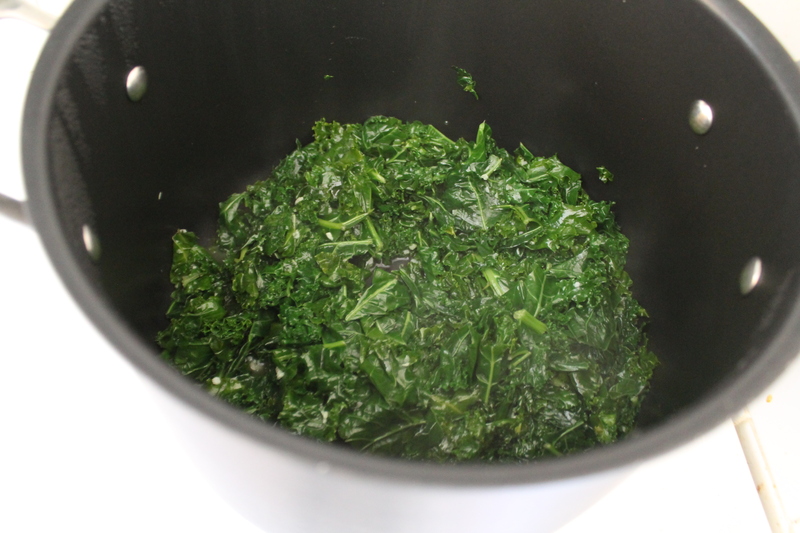 Cook for 5 minutes, stirring occasionally to prevent the kale from burning at the bottom. Drain the greens and squeeze out all excess water. Chop the greens again and set aside. Mix the shredded cheeses together in a medium bowl, setting aside ½ cup for the topping. With the prep done, preheat oven to 375°. Grease a small gratin dish with butter. Melt the butter in a medium saucepan over medium heat; whisk in the flour and cook 1 minute. 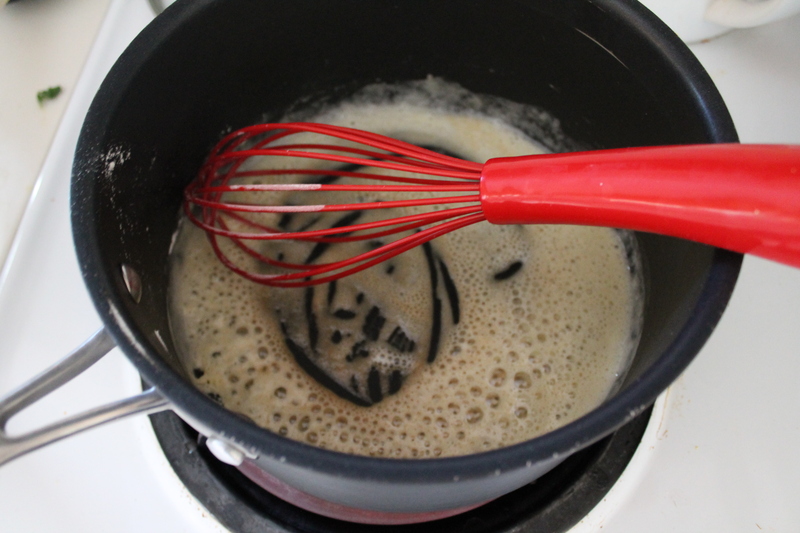 Whisk in the milk and nutmeg; bring up to a boil, then turn heat down and simmer 1 minute. 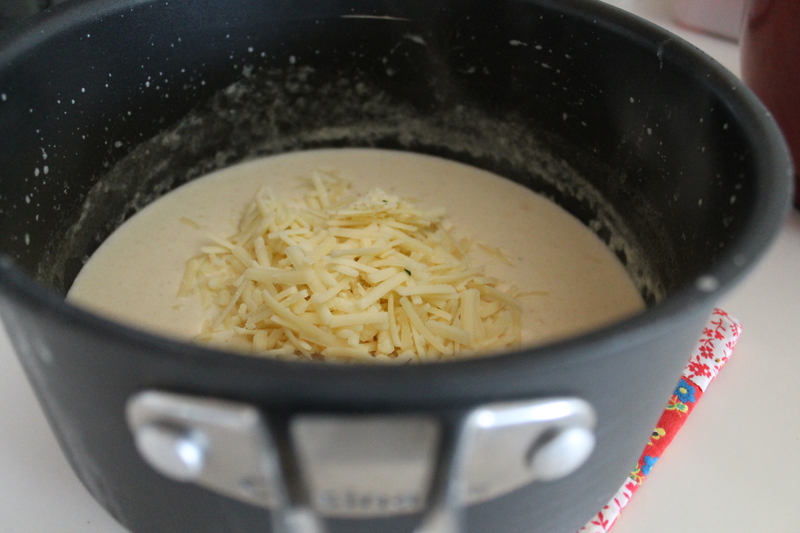 Turn off heat and whisk in the shredded cheeses (except the reserved ½ cup). Taste the béchamel and add salt and pepper as desired. Stir the greens into the sauce. Transfer to the prepared gratin dish and spread out in an even layer. Combine the reserved cheeses with the panko and olive oil, working the olive oil in evenly. Spread atop the kale in the gratin dish. Bake until the gratin is hot and the cheese is bubbling, about 20 minutes. Turn on the broiler and broil 2–3 minutes, until the crumbs are browned in spots on top. *Note: Reheat in the oven at 350 for 5 minutes in order to maintain crisp topping. I have NEVER made kale like this. Thanks. It’s one of our favorite greens. Can’t wait to try this.